2017-03-22 March 22 in Zestafoni municipality was marked by a clean up action ! 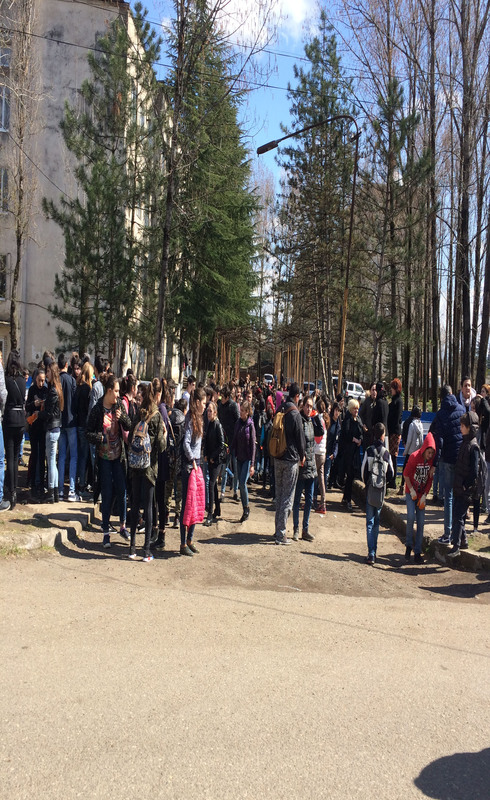 On March 22, World Water Day in Zestafoni municipality was marked with a large-scale clean up action within the framework of the campaigns “Clean up Georgia” and “Blue Stream” The event has been organized by the local coordinator of the Greens Movement of Georgia in cooperation with local authorities. In the action together with the organizers participated Zestafoni Majoritarian Deputy Mr. Shalva Kiknavelidze, Municipality and City Council officials, Municipality Governor Mr. Tariel Tutarashvili, Chairman of the Council Mr. David Magradze, Cleaning Service employees, Head of Cleaning Service Mr. Gia Orbelidze, N4 and N6 public schools teachers and pupils , local population. On March 21, 2017, Georgian Society of Nature Explorers “Orchis” arranged meetings in Akhaltsikhe and Adigeni Municipalities which were attended by: representatives of the mentioned municipalities’ Administrations and Assemblies, companies of limited liabilities and others entities. 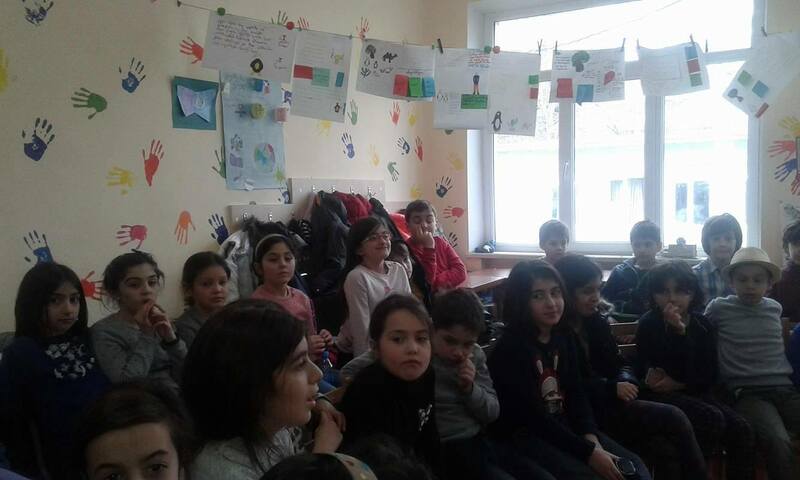 2017-03-21 Open lesson at Tbilisi "Green School"
Representatives of the implementation group for the project "Clean Up Georgia" Phase III , Nikoloz Inashvili and Elene Berdzenishvili conducted an open lesson at Tbilisi "Green School" for the third grade "chamomile" pupils, organized by the Greens Movement of Georgia/ Friends of the Earth Georgia. The pupils were given information on waste management in an understandable and clear language and they were explained about the consequences of throwing waste on the street. pupils actively participated in the process of open lesson, which was confirmed by their and answers to the questions posed. 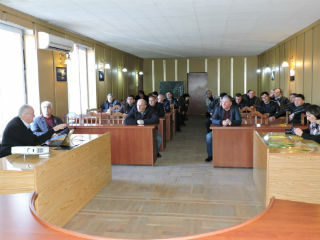 On March 16, 2017, Georgian Society of Nature Explorers “Orchis” arranged meetings in Kvareli and Akhmeta Municipalities which were attended by: representatives of the mentioned municipalities’ Administrations and Assemblies, companies of limited liabilities, non-for-profit (non-commercial) juridical persons, media and others entities. NGO Ecological Awareness and Waste Management (EAWM) continues the awareness raising meetings in Guria region. On February 24, 2017 a meeting was held in Chokhatauri Municipality in the framework of the ‘Clean Up Georgia – Phase III” Project aiming at informing the Municipality on the hazardous waste, in particular, chlorine/chemicals, on the territory of Georgia and its negative impact on human health and the environment. 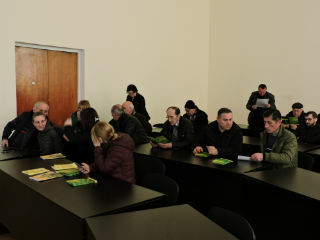 On February 23, 2017, Georgian Society of Nature Explorers “Orchis” arranged meetings in Dedoplistskaro and Gurjaani Municipalities which were attended by: Deputy Administrators of the mentioned municipalities, representatives of Administrations (Gamgeoba) and Assemblies (Sakrebulo), private companies, non-for-profit (non-commercial) juridical persons, media and others. On February 14, 2017, EAWM conducted a seminar entitled “Identification and Neutralization of Damaged Chlorine Vessels” in the National Youth and Children’s Palace in the framework of the “Clean Up Georgia – Phase III” Project. The seminar was attended by students of Chemistry Circle and their supervisors. On February 16, 2017, Georgian Society of Nature Explorers “Orchis” arranged meetings in Signagi and Lagodekhi Municipalities with the participation of representatives of Signagi Municipality Deputy Administrator, “Public Utilities” Ltd Director, his Deputy, representatives of the mentioned municipalities’ Administration and Assembly, non-for profit juridical persons, private companies and others. NGO Ecological Awareness and Waste Management (EAWM) continues the awareness raising meetings in the municipalities of Georgia. On February 13, 2017 a meeting was held in Lanchkhuti Municipality in Guria region. The meeting was held in the framework of the ‘Clean Up Georgia – Phase III” Project aiming at informing the Municipality on the hazardous waste, in particular, chlorine/chemicals, on the territory of Georgia and its negative impact on human health and the environment. February 3, 2017, Georgian Society of Nature Explorers “Orchis” arranged a meeting in Mtskheta Municipality with the participation of representatives of Municipality Administration (Gamgeoba) and Assembly (Sakrebulo), Galavani, Vasiani, Mukhrani, Nichbisi, Saguramo and other administrative units, non-for profit juridical persons and others. On January 26, 2017, Georgian Society of Nature Explorers “Orchis” arranged a meeting in Akhaltsikhe Municipality City Hall with the participation of the representatives of Municipality City Hall, Ltd companies and others. January 24, 2017, Georgian Society of Nature Explorers “Orchis” arranged a meeting in Gori Municipality with the participation of representatives of Municipality Administration (Gamgeoba) and Assembly (Sakrebulo), Variani, Karaleti, Mereti, Skra, Ateni, Shindisi, Berbuki and other administrative units, non-for profit juridical persons, media and others. NGO Ecological Awareness and Waste Management (EAWM) held the awareness raising meeting in Tskaltubo Municipality in Imereti Region on January 18, 2017. The meeting was held in the framework of the ‘Clean Up Georgia – Phase III” Project aiming at informing the Municipality on the hazardous waste, in particular, chlorine/chemicals, on the territory of Georgia and its negative impact on human health and the environment. NGO Ecological Awareness and Waste Management (EAWM) held the awareness raising meeting in Chiatura Municipality (Imereti Region) on January 18, 2017. The meeting was held in the framework of the ‘Clean Up Georgia – Phase III” Project aiming at informing the Municipality on the hazardous waste, in particular, chlorine/chemicals, on the territory of Georgia and its negative impact on human health and the environment.